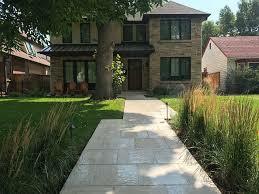 At CoMo Power Wash, the variety of residential pressure washing services is what helps us to surpass many competitors. We offer services for pressure washing your house or cleaning and sealing your concrete surfaces. Our deck cleaning service will expertly wash away the grime and dullness and make your deck surface look like new again. If your fence or driveway is dirty and stained, our power wash equipment will efficiently wash it to make it look fresh and clean. If your home or building has graffiti sprayed on the exterior walls, call us today to quickly remove it. We understand that you want to keep your home looking beautiful. Patio cleaning is one of our most requested services. Entertaining guests is fun when you can do it on a freshly power washed patio. Clean patio surfaces are more appealing than patios covered with dirt, mold, and grime. If your home is in need of caulking around windows and doors, call us for help with sealing those cracks and crevices. You can save money on your energy bill by sealing cracks and crevices that allow heat in the winter and cool air in the summer to escape from your home. Use our expert caulking service to waterproof your home’s foundation. We don’t skimp on the caulk and use a professional grade product. We seal around sinks, tubs, tiles, windows, and foundations. We have completed many years of quality service. We are reputable, insured, licensed, bonded, and ready to work for you.